How to Invest in Wine: Tips and Examples | What is it worth? Interest in wine investment has gradually increased along with the number of new wine connoisseurs and collectors –including the young and rich millennials. Moreover, the activity in wine investment has globalized, extending its focus to new emerging markets, most notably China. The fine wine auction market is now quite established and thriving. Wine has come to be considered a good investment commodity, however, in order to ensure a noteworthy return, it is important to be informed about benefits, risks and requirements. Let’s start with the main question: How does some fine wines go up in value? Fine wine matures after bottled, and improves with age. 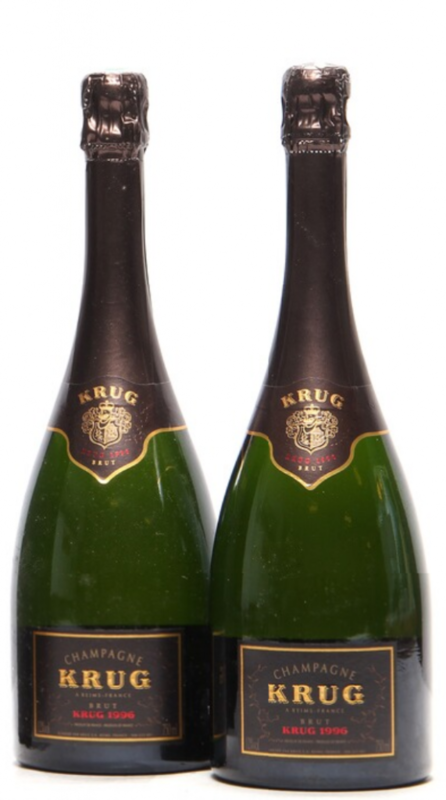 A limited amount of exquisite wines are produced every year and as bottles are consumed, the supply becomes smaller. Whereas demand for these rare wines grows, thus increasing the prices. The traditional approach has always been to buy en primeur (when the wine is made and still in barrels, before it is bottled) and to concentrate on Bordeaux and, to a lesser extent, Burgundy. Morten Stenør Larsen, wine expert at Bruun Rasmussen Auctioneers, advises to go for first class Bordeaux, if you want to ensure return and minimize the risk. However, he adds, the fun part of investing in wine is to try out also some unconventional bottles, to learn and enjoy the ride. This is why Larsen skipped the more obvious Premier Cru’s and chose a few interesting examples from the upcoming Bruun Rasmussen wine auction. Below are the popular types of investment wines along with his selection. 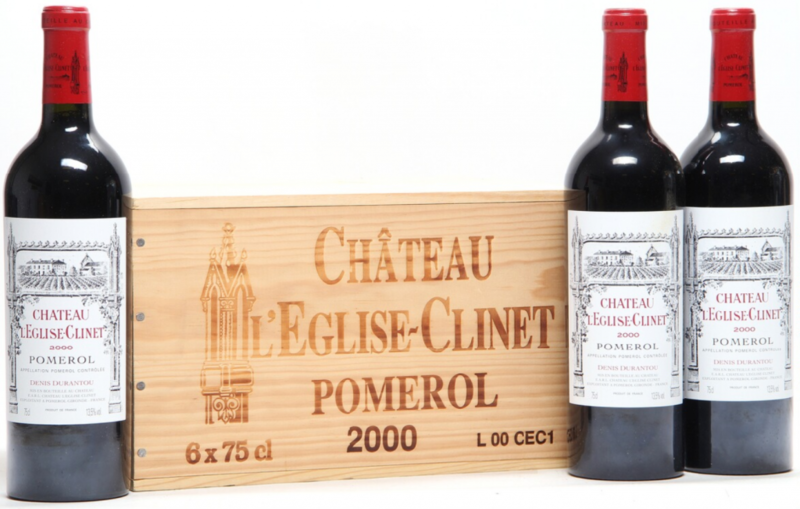 Traditionally, wine investment portfolios have focused almost exclusively on classed-growth red Bordeaux (those of the 1855 Classification) from highly rated vintages. These wines have a long-established secondary market and have built up good reputations for consistent quality and cellaring potential. The 1961 Bordeaux is hard to acquire, but famous wine merchant late William Sokolin recommended that investors focus on vintages of Bordeaux from 1982, 1990, 2000, 2005, 2009 and 2010. 2015 is also established as a good year for the area. Larsen suggests a 6 bottle case of Château La Mission Haut Brion Grand Cru Classé, Pessac-Léognan 2005, going under the hammer at Bruun Rasmussen on November 27, with a price estimate of € 2,150-2,950. On Bordeaux’s ‘left bank’, Châteaux Latour, Lafite-Rothschild, Margaux, Mouton-Rothschild and Haut-Brion remain reliable as high-grade investment wines. Across the Garonne in the Libournais (the ‘right bank’), plush Merlot-based wines from Pomerol properties Le Pin, Petrus, Lafleur and La Fleur-Petrus are particularly popular on the fine wine market, as are Saint-Emilion’s top investment wines Châteaux Angelus, Ausone, Cheval Blanc and Pavie. Larsen states that “Within Bordeaux the perhaps most interesting area for investment is Pomerol.” and adds “Good Chateau and vintage are required.” He suggests the pictured Château l’Eglise-Clinet. Although less commonly traded, top Burgundy (both red and white) fetches some of the highest prices ever paid for wine. Best Burgundy wines are made only in small quantities, which are immediately bought by enthusiasts when released. When they come up in the secondary market, the rarity factor can pull up the prices to eye-watering levels. If you look at the World’s Most Expensive Wines list, you will see that it is almost completely dominated by Grand Cru Burgundy. The best investment wines from Burgundy are the Grand Cru wines from Domaine de la Romanée-Conti, Henri Jayer, Comte Georges de Vogue, Georges Roumier, Armand Rousseau, Leflaive, Leroy, Meo-Camuzet and Coche-Dury. Morten Stenør Larsen suggests high quality, limited production Burgundy in top vintages such as this exquisite Chambertin Grand Cru, pictured on the left. While Bordeaux and Burgundy are the focus of most fine wine investors, many emerging markets are beginning to come online and they have a good return potential for the next decade. Some wines to keep an eye for are The Rhônes, Champagnes and Ports. Moreover, increasingly the Super Tuscans of Italy and the so-called icon wines of the New World such as Penfolds Grange (Australia), Opus One, Screaming Eagle (California) and — possibly — Almaviva or Seña (Chile). Let’s take a broader look. Albeit very few, The Rhône Valley produces a handful of interesting wines that can keep up with top-flight Burgundy or Bordeaux. Most well known are those from Jean-Louis Chave, particularly the Cuvee Cathelin and Vin de Paille, Paul Jaboulet’s Hermitage La Chapelle, Guigal’s Hermitage Ex Voto and ‘La-La’ wines (La Landonne, La Turque and La Mouline), Chateau de Beaucastel‘s Hommage a Jacques Perrin, and any of the top-end Chateauneuf-du-Pape wines from Chateau Rayas (the standard Reserve, the Pignan Reserve, or the white Reserve Blanc). Italy’s top investment wines are the “Super Tuscans” (Sassicaia, Solaia and Ornellaia), and other Tuscan classics such as Brunellos from Fattoria Poggio di Sotto, Casanova di Neri and Gianfranco Soldera and the Vino Nobile wines Avignonesi Riserva Grandi Annate and Nocio dei Boscarelli. Piedmont’s contribution to the world of investment wine includes Barolos such as Giacomo Conterno’s Monfortino and Cascina Francia, the Monprivato wines of Giuseppe Mascarello and Bartolo Mascarello, Bruno Giacosa’s Collina Rionda, Falletto Riserva and Le Rocche del Falletto, and Aldo Conterno’s Granbussia. Barolo’s neighbor Barbaresco produces a few investment-grade wines, notably two Roagna I Paglieri wines (Crichet Paje and Paje Riserva) and the Gallina and Albesani Santo Stefano by Bruno Giacosa. The United States’ top investment wines are all Californian, and most are collector’s items produced only in small quantities. As such, these wines are not traded on the secondary market as often as French investment wines, which makes them rare and expensive. The list is dominated by Napa Valley Cabernet Sauvignons such as Screaming Eagle, Schrader Cellars’ Old Sparky, David Abreu’s Thorevilos and Madrona Ranch, Schrader Cellars’ Beckstoffer To Kalon, T6 RBS, and CCS, and two wines from the Kapcsandy Family State Lane Vineyard (the Grand Vin and Roberta’s Reserve). In addition to these, there are Napa classics such as Christian Moueix’s Dominus, the Special Selection from Caymus, Mondavi’s Opus One and the IX Estate by Colgin. Outside Napa, Sonoma County’s Vérité winery produces three wines (La Joie, La Muse, Le Desir) whose value has increased consistently since they were awarded the highly prestigious 100 Parker Points. Further south, in the Central Coast, Sine Qua Non produces a complex maze of single-vintage cuvees, which could well lead to good investment returns and Ridge’s reliable Monte Bello from the Santa Cruz Mountains continues to increase steadily in value. A small number of Australian wines are now recognized for their investment potential. Particularly Penfolds produces several wines, which have consistently increased in value over the past decade: Bin 95 Grange, RWT, Bin 389 and Bin 407. Other Australian investment wines include Jim Barry’s The Armagh, the Quintet by Mount Mary, Henschke’s Hill of Grace and The Laird from Torbreck. How you look after the wine is just as important as choosing the wine for two reasons. Firstly, it is better to store wine “under bond” when you can, to avoid paying excise duty and VAT, which cannot be reclaimed. Secondly, provenance is essential to a wine’s future value, which comes from the storage conditions. Best bet is to store it in a temperature-controlled warehouse which also includes insurance at full market value. Professional storage costs around £12 per case per year, which is probably worth it. P.S Tip: Review the wine stock market. If you want to be informed and get a general sense of the market, consider tracking the industry benchmark, Liv-ex, the London International Vintners Exchange, a global trading platform for fine wine merchants, and its Fine Wine 100 Index that tracks the price movement of the 100 most sought-after fine wines. Investment: It is an investment market like any other, so be aware that prices can go down as well as up. Wine prices are not immune to economic crisis; as seen in the past 10 years. For example, 2005 Ch. Lafite-Rothschild was released en primeur in June 2006 at £3,760 per case in bond. By the summer of 2008 it was selling for just under £10,000 per case in bond. In November 2008 brave buyers could buy the same wine at just under £6,000 per case in bond, and in August 2011 it was trading at around £12,000 per case, just to collapse again in November 2011. The market has now recovered, but just like with any other investment, wine prices get affected from economical situations. Unregulated Market: To avoid any mishaps, make sure you buy from established auction houses or merchants and that you get the expertise you need. Investment Term: Although short term gains have been possible over the past few years, wine investment should be viewed as a mid to long-term one. The norm is considered to be at least five years, eight to ten even better. Larsen says it depends on the type of wine: 10 years for Bordeaux but it can be much less for champagne in prime. Wine Types: Only specific wines will tend to accrue value and these wines tend to be expensive, which creates a high entry level. Pictures courtesy of Bruun Rasmussen website. Cover photo courtesy of Sotheby’s Wine Department.